The Center for Improvement of Educational Systems, led by Dr. Jesse Register, exists to support Tennessee schools and educators in creative ways, namely six school districts across the state including Maury, Warren, Hickman, Putnam, Gibson Special Schools and Washington counties. This summer, nearly 200 local educators, aspiring leaders who were selected by their district leadership, have participated in training facilitated by the CIES and funded, in part, by a grant. On Wednesday, 50 aspiring principals met for a day-long Principal Pipeline training where Mike Rutherford, president of the Rutherford Learning Group, presented to attendees. Beginning in Fall 2017, a cohort of 36 educators participate in the Pipeline’s programs and training each year. The grant will provide funding and support for participants for the next 3 years. 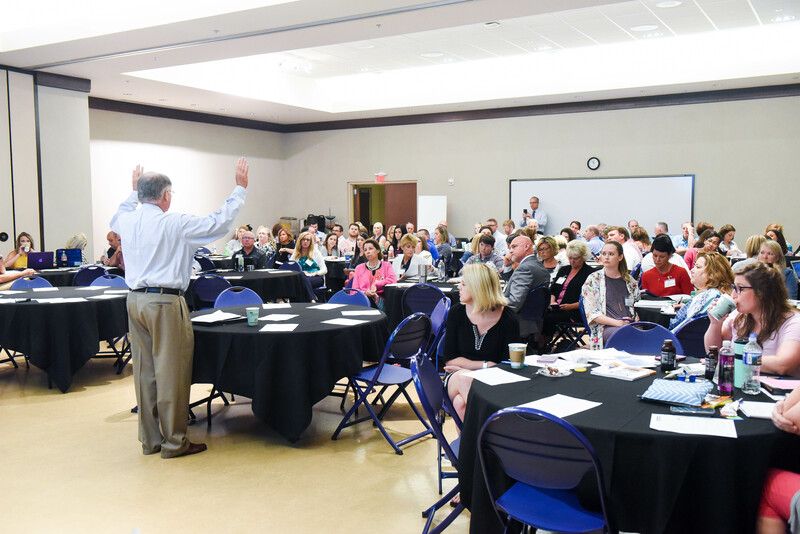 On Thursday and Friday, another 120 Tennessee teachers, superintendents and Central Office staff members came to Belmont’s campus for another round of training, known as the CIES Emerging Knowledge Forum. These sessions included Rutherford, Register and Sam Bartlett, a former law enforcement officer, minister and motivational speaker.